Do you need help obtaining compensation after you’ve been seriously hurt? Speak with a qualified Boise injury lawyer who will fight for your right to full compensation for your losses. The effects of a catastrophic personal injury can completely upheave your life. Not only will you be stuck dealing with they physical damage done, but you’ll likely be impacted financially when you need to take time off of work to focus on your recovery. This can put your family in financial ruin if you’re unable to continue supporting your household. When you suffer injuries caused by the negligent or careless actions of another person, you shouldn’t be stuck paying for the damages you’re facing. Hold the negligent parties responsible for their actions by working with a qualified Boise personal injury attorney. The attorneys at Craig Swapp & Associates can help you present a compelling case for why you deserve compensation. Our attorneys deal with many types of accidents when handling Boise personal injury claims at Craig Swapp & Associates. Some of the case types we handle regularly are premises liability injuries, work and construction injuries, motor vehicle wreck injuries, and defective product injuries. Slip-and-fall injuries, dog bites and related injuries, and other premises liability accidents occur when the invited guest of a property owner is injured due to a safety hazard on the property. The construction industry has some of the highest employee injury rates in the country due to the tremendous safety risks on construction sites. Though you may be entitled to workers compensation benefits, they often aren’t enough to cover the full extent of your damages. A work injury that is caused by another person and prevents you from working—temporarily or permanently—may warrant the filing of a Boise personal injury claim. Probably the most common of all accident types in Boise, motor vehicle accidents happen when a tractor-trailer, motorcycle, pedestrian, automobile, or bicyclist collides with another vehicle. More often than not, the other involved driver, vehicle parts manufacturers, and/or the Idaho Department of Transportation will be found culpable in motor vehicle collisions. In a defective product injury case, an item that has been manufactured and sold to a consumer malfunctions, resulting in a serious personal injury. The best example of a product liability case would have to be the infamous case of Liebeck vs. McDonald’s Restaurants, in which an elderly woman suffered third-degree burns after coffee kept above industry standard temperatures spilled on her lap. There are various Idaho laws that will pertain to your Boise personal injury claim. It’s important that you are aware of these before you begin the claims process so that you aren’t surprised if or when they have an impact on your case. Possibly the most influential laws include that of the statute of limitations for personal injury claims and the state’s comparative negligence laws. Read on to learn more. Getting your personal injury claim filed before the statute of limitations expires is critical to your case. We will have only two years from the date of your accident, or from the date in which you were diagnosed with injuries relating to the accident, to file your claim. In cases where it has been established that a government agency, such as the Idaho Department of Transportation, is at fault for your injuries, you will need to act fast. The statute of limitations for claims against a government agency is only six months from the date of the incident or diagnosis. It’s also important that you are aware of comparative negligence laws, which state that if you are found to hold a percentage of the blame for the accident that caused your injuries, the compensation you receive will decrease proportionally. You will also be able to include your lost wages, property damage, and the loss of future earnings as part of your economic damages. Apart from having to handle the various aspects of your Boise civil lawsuit against the at-fault party, you’ll also have to deal with the insurance company. The insurance company is not on your side. You can expect them to do whatever they can to reduce the amount they’ll be expected to settle for. There are many strategies they have for doing this, including making quick offers, making lowball settlement offers, and requesting statements from claimants. We don’t recommend dealing with the insurance company on your own. Insurance adjusters have a reputation for short-changing claimants. Instead, let your Boise accident injury lawyer handle the negotiations on your behalf so that there is no risk of your being taken advantage of by insurance adjusters. Most cases are able to be settled in the negotiations process. There are some cases, however, where the insurer refuses to come to a reasonable agreement or fails to negotiate completely. In such a case, your lawyer is more than prepared to bring your claim in front of a judge or jury. At Craig Swapp & Associates, you can. Our lawyers work for our clients for a contingency fee. This means that you don’t have to pay a dime unless or until your attorney wins your case. Then, our agreed-upon payment will come directly out of your awarded compensation so you don’t have to be concerned with making a payment later. My child was involved in an accident. Can I sue on their behalf? Parents can absolutely be advocates for their children who have been injured in an accident by suing on their behalf. As minors, children are unable to bring a claim forward for themselves, but that does not mean their age renders them ineligible for the same compensation an injured adult would be entitled to. 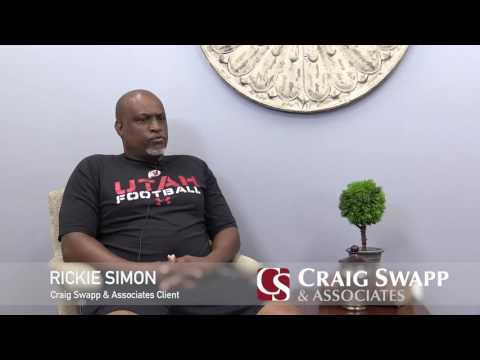 If you’re ready to reclaim your life and fight for the compensation you’re entitled to, call an experienced attorney at Craig Swapp & Associates. If you choose our firm, you’ll have an attorney who always puts your best interests first and works diligently to secure the financial security you need to recover with ease. Our attorneys are proud to offer our prospective clients a complimentary case evaluation to review the details of your case. You can schedule your no-obligation consultation with a highly trained Boise personal injury lawyer by completing the quick contact form we’ve provided below or you can give our office a call at 1-800-404-9000.